Hey ribbon lovers. Bonnie here today with a pretty birthday card to share with you featuring some bright colors and pretty ribbon and embellishments from Really Reasonable Ribbon. I love these bright colors for summer. I made my background with Distress Inks and Distress Oxide Inks. I used a stencil on the top and the bottom is just sponged and spritzed inks. 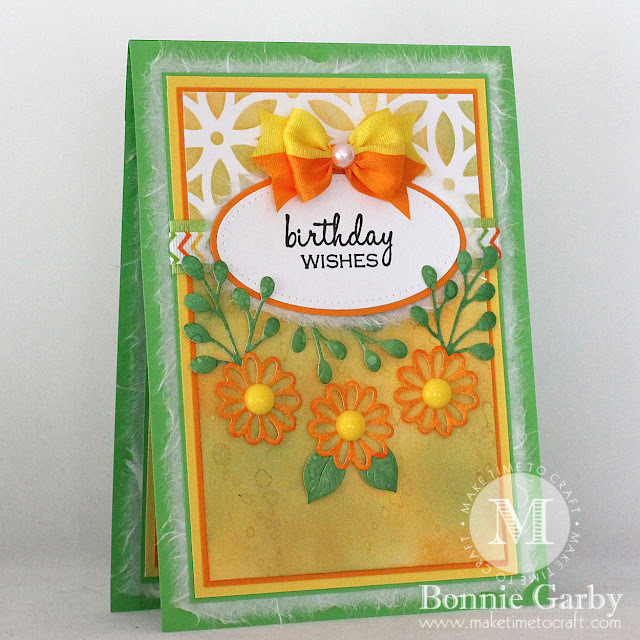 I didn't have a lot of time to make flowers this time and this Indie Bouquet die set from Cheery Lynn Designs has easy 'cut and go' flowers. 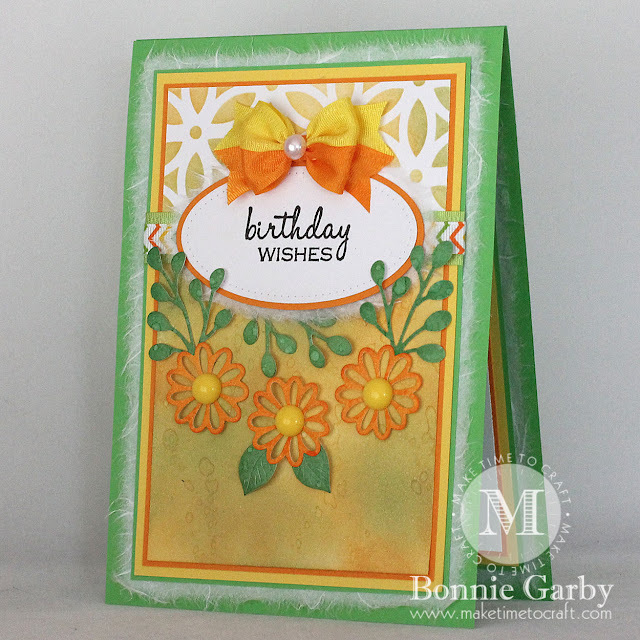 The foliage is from the Floral Bouquet die set. I adhered yellow 10mm Resin Pieces to the center of my flowers. 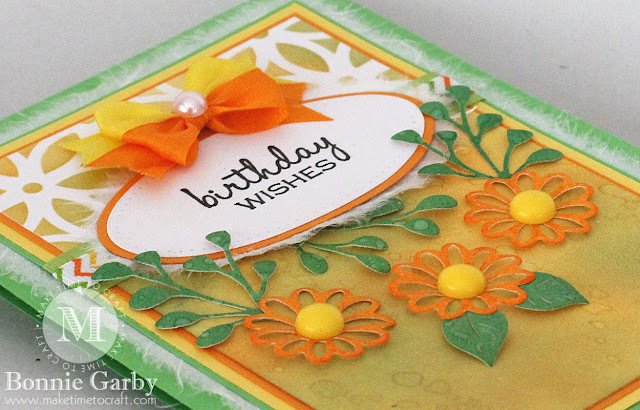 I stamped my sentiment and then added an orange layer and some white mulberry paper. 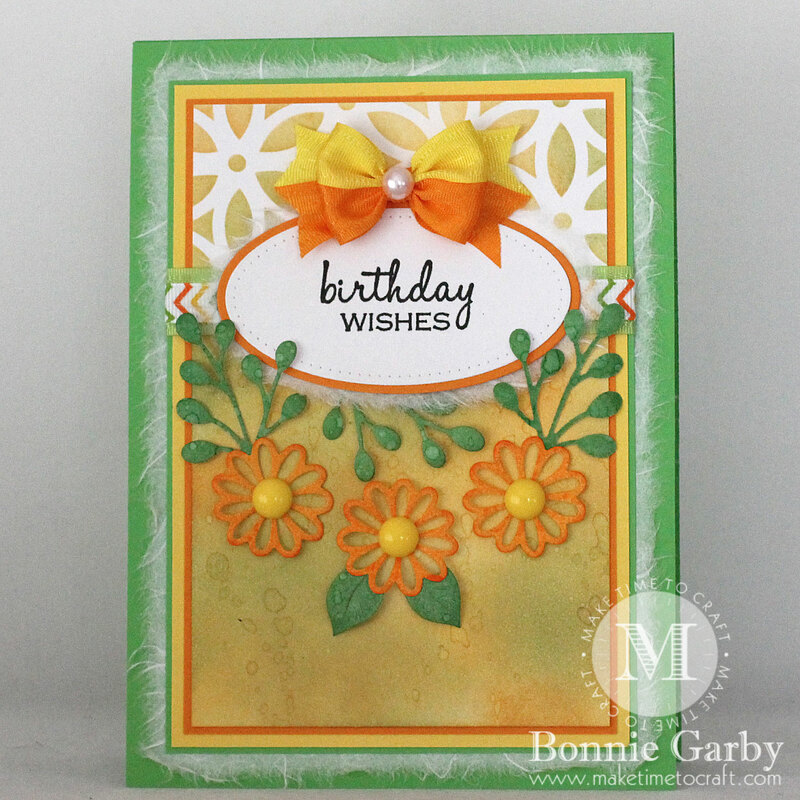 I wrapped a layered piece of ribbon consisting of 5/8" apple green Delicate Stitched Satin Ribbon and 3/8" Citrus Chevron Grosgrain Ribbon across the middle of my card securing in the back. I then adhered the sentiment oval on top of that ribbon band. My bow was created on my Bow-it-All V3.0 Tool using 5/8" Daffodil and Tangerine Delicate Stitched Satin Ribbon from Really Reasonable Ribbon. I added an 8mm White Half Pearl to the center of my bow. For a video tutorial on how I created this bi-color bow, please click HERE.